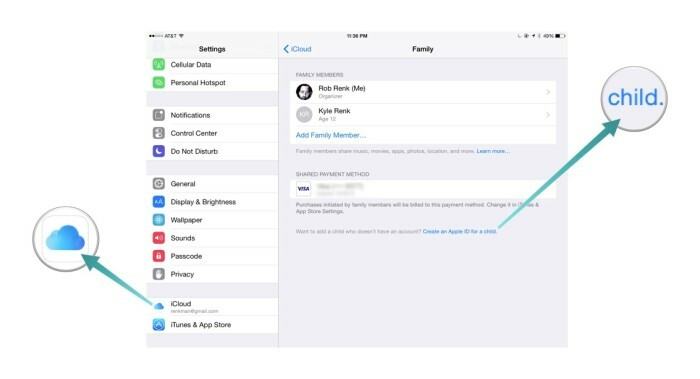 Family Sharing is a great utility Apple introduced in iOS 8 that allows family members to share all their purchases across the App Store, iTunes and the iBookstore. 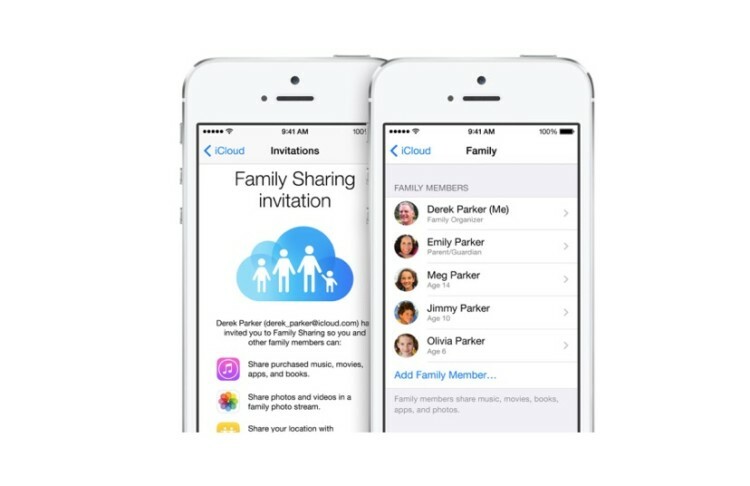 With Family Sharing, though, all participating members need to have their own Apple ID’s. 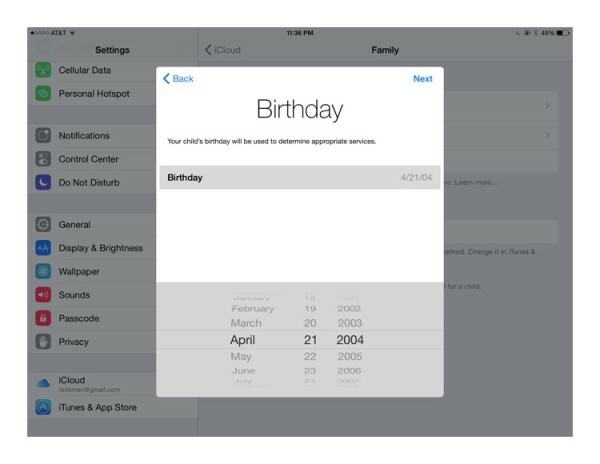 However, minors under the age of thirteen can’t create an Apple ID on their own. Luckily parents can give consent and create one for them–and when you do, it will be added to your Family group automatically. 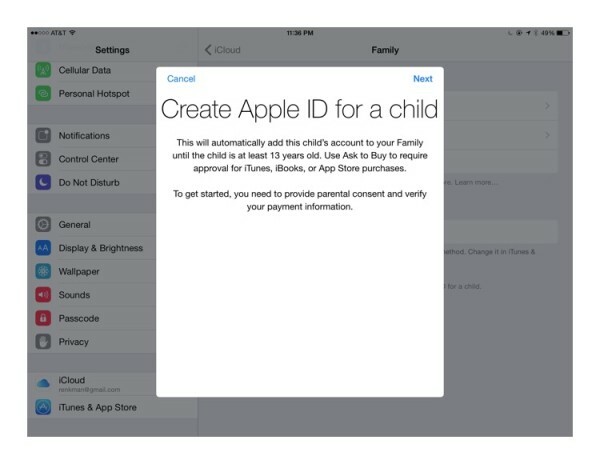 Apple verifies that you are indeed an adult and can create an Apple ID for your child when you use a credit card as your method of payment in your iTunes account. Unfortunately for this exercise, though, if your payment method is currently a debit card, you will have to replace it with a credit card because iTunes uses the security information on the credit card to confirm consent for a minor to use the account. Now you must enter your child’s birthday, and accept the Parental Consent Terms and Conditions. IF you have a Debit Card on file instead of a credit card, you will now be prompted to return to your iTunes and App Store Settings to replace it (at least temporarily) with a credit card that you can further verify with the security code on the back of the card. You can then enter your child’s name and and follow all the props to create the Apple ID for him/her. Lastly you will need to set a password and security question so that you can easily verify your identity when you make changes to your child’s account. All or some of your child’s purchases can now be funneled through you. If they are under 13 the “Ask to Buy” feature will be turned on by default, but they can still use their own Apple ID to initiate purchases. Now they will have access to all the same media that is shared by everyone else in the family as long as it follows any restrictions you may have already placed on their iOS device. My kid’s iPad has been using my store ID for awhile now. If I were to convert her to her own, would all the apps she currently have still work right? Thanks for the comment. This was there same situation I was in with my son. Signing out of your iPad or iPhone with one Apple ID and signing back in with another should do nothing to the apps that are already downloaded onto that device.